Situated just minutes away from the Las Vegas Strip, the Pole Position Raceway is an indoor go-kart racing venue. This family-friendly attraction allows guests to enjoy high-speed rides on electric go-karts. Memberships, reservations and walk-ins are available for adult and youth races. Click to book your Pole Position Raceway admission. The Pole Position Raceway offers the signature Arrive and Drive Racing program, which allows visitors to take fun rides on a walk-in basis. Prices for adult and youth races vary primarily according to membership. All go-karts for adults have minimum height restrictions of 56 inches. Similarly, a child must be at least 48 inches tall to get behind the wheel of a kid's go-kart. Click to book your Pole Position Raceway admission. As you race against family members, friends or complete strangers, you'll see your real-time lap time displayed on a digital screen. After the race, the participants are ranked on charts according to total lap time. Even if you don't take first place, you might still get some bragging rights from achieving the fastest lap time. You'll love the SpeedSheet application that was originally designed for the Apple platform. This app generates real-time scores and other racing data with professional-style layouts. Even the spectators could check out the information on the big screens that are installed above the raceway. The electric go-karts at the Pole Position Raceway are much more efficient than traditional go-karts that run on fuel. Don't be fooled by the economical powertrain, these electric machines are tuned for thrilling cruising on the indoor track. For example, adults can reach a maximum cruising speed of 45 MPH, and kids can accelerate to 25 MPH. All drivers should be familiar with some of the basic safety and other protocols relating to driving the sporty electric go-karts. Professional instructors and other staff members will teach guests how to properly control the brakes, steering and other mechanical components. When you approach sharp turns and other twisting paths, it's important to slow down and maintain firm control of the steering. Fortunately, the perimeter of the track is lined with relatively flexible barriers that create rebounding effects during collisions. Helmets must be worn by all drivers during an active race, but bodysuits are optional. You can bring your own helmet, which must meet minimum safety guidelines as indicated by industry standards. For safety and enjoyment reasons, a single race can include a maximum of 13 participants. 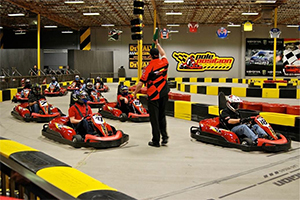 Despite having a family-friendly atmosphere, the facility doesn't offer two-seater karts. This mini racetrack uses an industrial-grade HVAC system to keep the interior temperatures at comfortable levels. Since the electric go-karts don't produce any emissions, the facility has much cleaner air quality compared to racing venues that offer gas-powered karts. Additionally, loud noise isn't a major problem at this indoor complex because the electric karts operate quietly. Click to book your Pole Position Raceway admission ticket. The Pole Position Raceway is located just outside of the Las Vegas Strip. Standing at the corner of Flamingo Road and Arville Street, this indoor attraction is easily accessible by car and public transportation. 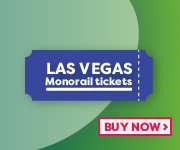 The Las Vegas Freeway, also known as Interstate 15, has exits within one mile of the racing venue. You can use the on-site parking lot near the intersection of Arville Street and Nevso Drive. Bus route 104 of the Regional Transportation Commission (RTC) can also drop you off near this go-kart racing hub. Other bus routes run along Flamingo Road, which is lined with commercial plazas and other developments. A typical ride between a hotel on the Las Vegas Strip and this raceway takes less than 10 minutes. Click here to visit Pole Position Raceway official website.